John Young Mason (April 18, 1799–October 3, 1859) was an American politician, diplomat, and United States federal judge. Born in Hicksford, Greensville County, Virginia, Mason attended the University of North Carolina at Chapel Hill where he was a member of Philanthropic Assembly. Mason graduated in 1816 and then read law at Tapping Reeve Law School in Litchfield, Connecticut, to be admitted to the Southampton County, Virginia, bar in 1819. He had a private law practice in Southampton County from 1821 to 1831. He married the daughter of a prominent landowner in 1821 and became a planter himself as well as continuing as a lawyer. He served in the Virginia House of Delegates from 1823 to 1827 and the Virginia State Senate from 1827 to 1831, was a delegate to the state constitutional convention of 1829-1830, and from 1831 to 1837 served in the US House of Representatives (the Twenty-second, Twenty-third and Twenty-fourth US Congresses), chairing the US House Committee on Foreign Affairs from 1835 to 1836. During this time, he was an active supporter of most elements of Andrew Jackson’s presidency but was also a staunch advocate of states’ rights. Jackson approved the appointment of George H. Thomas to the US Military Academy in 1836 on his recommendation. 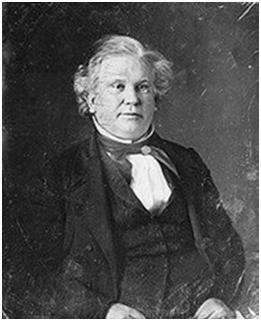 Mason later served as a delegate to the Virginia constitutional convention of 1850. On February 26, 1841, Mason was nominated by President Martin Van Buren to a seat on the United States District Court for the Eastern District of Virginia, vacated by the elevation of Peter Vivian Daniel to the Supreme Court of the United States. Mason was confirmed by the US Senate on March 2, 1841, and received his commission the following day. He resigned from the bench on March 23, 1844, to take a cabinet post. Mason was the US secretary of the navy from 1844 to 1845 in President John Tyler’s cabinet, then US attorney general, and then again secretary of the navy from 1846 to 1849, succeeding George Bancroft, under President James K. Polk. The period of Mason’s service as navy secretary was marked by intense congressional pressure for economy, requiring the decommissioning of the navy’s ships and making it difficult to maintain a continuous naval presence on foreign stations. The construction of floating dry docks for several navy yards, the simplification of the navy’s ordnance system, an expansion of the navy’s scientific endeavors, and the formalization of status of the naval engineers also marked Mason’s first term as Secretary. His second term was marked by efforts to sustain the navy’s combat forces in the Gulf of Mexico and along the far-distant Pacific coast, the beginning of construction of new steamers, and an effort to obtain potential warships through the subsidization of civilian mail steamships. The latter was an early, and ultimately unsuccessful, experiment in public-private partnership. Mason was in private legal practice from 1849 to 1854 and served as president of the Virginia Constitutional Convention of 1851 and the US minister to France from 1853 until his death in Paris in 1859. In this capacity he attracted attention by wearing a simple diplomatic uniform at the court of Napoleon III (For this he was rebuked by US Secretary of State William L. Marcy, who had ordered American ministers to wear a plain civilian costume.) and by joining with James Buchanan and Pierre Soulé, ministers to Great Britain and Spain respectively, in drawing up the famous Ostend Manifesto in October 1854. In politics he was a typical Virginian of the old school—a states’ rights Democrat, upholding slavery and hating abolitionism. After his death in Paris, his remains were conveyed to the United States and interred in Hollywood Cemetery. Source of information: Text from a publication now in the public domain: Chisholm, Hugh, ed., 1911. Encyclopedia Britannica (11th Ed.). Cambridge University Press. John Y. Mason at the Biographical Directory of the United States Congress; John Y. Mason at the Biographical Directory of Federal Judges, a public domain publication of the Federal Judicial Center. Williams, Frances Leigh. "The Heritage and Preparation of a Statesman, John Young Mason, 1799-1859." Virginia Magazine of History and Biography 75 (3): 305-330, 1967.